If you think that 2018 is all about notch display smartphones, then you’re probably wrong. Almost every brand is focusing on adding more internal storage onto their smartphones. OnePlus has added 256GB of storage on the OnePlus 6, while Samsung has released 256GB variants of the Galaxy S9 and S9+. Samsung is now rumoured to launch a 512GB storage variant of its upcoming flagship smartphone, the Galaxy Note 9. The popular tipster, Ice universe, who is known for some accurate leaks on Samsung smartphones in the past has posted on Twitter that Samsung might launch a variant of the Galaxy Note 9 with 512GB of internal storage and 8GB of RAM. This could be a reliable leak as every smartphone brand is upping the ante this year when it comes to offering more storage. Smartistan recently launched a smartphone with 1TB of internal storage and Lenovo is teasing its flagship smartphone with 4TB of storage onboard. The Galaxy Note 9 might come in higher storage options, but it’s expected that Samsung will not ditch the famous microSD card slot on the smartphone. The Samsung Galaxy Note 9 is now rumoured to launch at the end of July 2018, a month ahead of its predecessor’s launch. 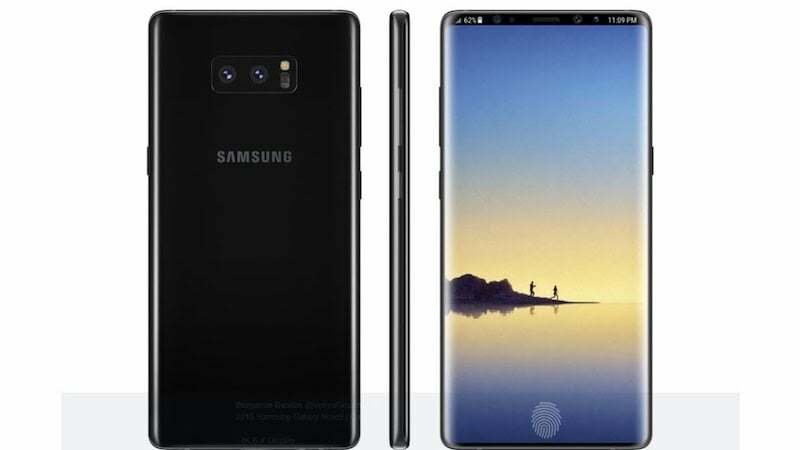 Samsung has already finalised the design of the smartphone and it will be pretty much identical to last year’s Galaxy Note 8 and this year’s Galaxy S9. Having said that, the phone is expected to come with a larger 6.4-inch display on board. Samsung will use the same Super AMOLED Quad HD+ display on the Note 9, but the display size could be 6.4-inches this time around, up from the 6.3-inch unit seen on the Note 8. The phone will arrive in two variants- one with Snapdragon 845 chipset and the other one with Exynos 9810 SoC. Both the variants will get up to 8GB of RAM. The Galaxy Note 9 will also arrive with Bixby 2.0 on board and it could use the same variable aperture cameras as seen on the Galaxy S9+. I still got why people would need over 128 GB roms on their phones.